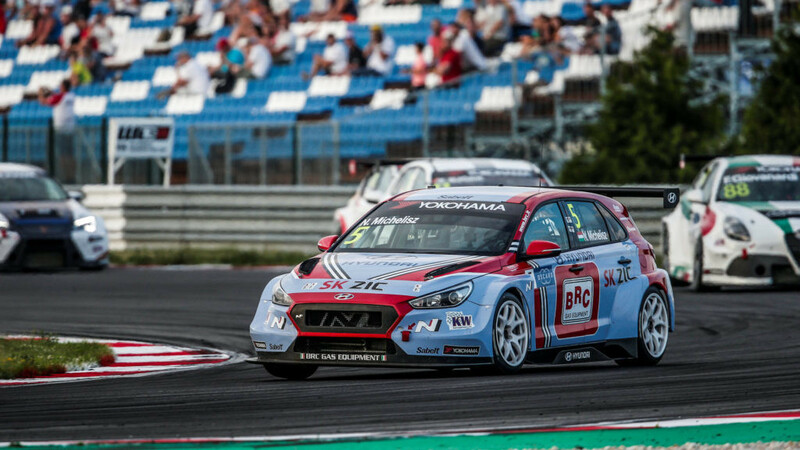 The uneasy relationship between the various parties involved in running and organising the World Touring Car Cup came to a messy head at the latest round at the Slovakiaring last weekend, with the exclusion of three of the Hyundais on Friday night leading to a domino effect of drama over the meeting. What started it off was ahead of the weekend, the FIA had circulated a revised Balance of Performance (BoP) chart to the teams. The chart hadn’t changed any of the headline BoP variables, which are ride height, engine power or base weight, but the maximim turbo boost pressure levels across the engine speed range. On Friday after qualifying, when the Hyundais had rocketed to a 1-2-3 lockout on the grid by over a second clear of everyone else, all but their cars were released from scrutineering, with a decision coming past midnight which confirmed that three of the four Hyundais had failed the meet the championship’s boost pressures, with the only car to escape penalty that of pole-sitter Gabriele Tarquini. On Saturday morning, ahead of the start of the first race at midday, the situation was far from over, as technical delegates from the FIA, and also from WSC, the TCR concept’s promoter, were all over the four Hyundais, with team bosses Gabriele Rizzo (BRC Racing Team), Yvan Muller (YMR) and Hyundai Motorsport Customer Racing manager Andrea Adamo regularly paying visits to the FIA scrutineering team during the morning. Eventually it was confirmed the cars were now legal and started the race, though Gabriele Tarquini had his worst start in recent years, and his sensational qualifying pace seemed to be gone, as he cruised across the line to finish third behind the ballast-free Campos Racing Cupra TCR of Pepe Oriola and the Team WRT Audi RS 3 LMS of Jean-Karl Vernay. In the second qualifying session, Hyundai again took pole, with Norbert Michelisz stringing out a pair of 2:10.4s in Q2 and Q3 to claim his third pole position of the year, but the time was notably a second away from Friday’s pace with the revised, race legal Hyundai. The drama wasn’t over, as after the second qualifying session on Saturday afternoon, the same thing happened again, except this time it was Honda that was under investigation. The three Civic Type R TCRs of Esteban Guerrieri, Tom Coronel, and Benjamin Lessennes were all held in parc ferme and soon the technical delegate’s report confirmed that all three cars had also been found guilty of exceeding the newly published turbo boost limits. The cars were returned to the teams with little more than half an hour until the next race which was due to start at 7pm, with the start delayed in order to allow the Münnich Motorsport and Boutsen Ginion Racing teams which run the cars time to be able to prepare them for the race. 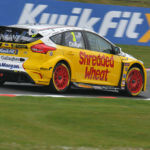 It was also confirmed that both teams had chosen to appeal their exclusion, which restored their positions on the grid for both Race 2 and Sunday’s Race 3. Lessennes went on to finish fifth in Race 2 with Guerrieri eighth, with Coronel a non-finisher, while Coronel took his season’s best result with seventh in Race 3 while it was Lessennes and Guerrieri this time that failed to finish, caught up in a first lap incident with the Hyundai of Gabriele Tarquini. The basis for the teams’ appeal is they feel they are within the official boost limits for the event, which are the boost levels set by WSC, not the revised chart distributed by the FIA on Friday. JAS Motorsport, the builders and technical services provider for the Honda Civic TCR, confirmed that there have been no boost settings or engine management system changes since the start of the season, with the new FIA boost chart effectively the only reason why the Hondas failed scrutineering. 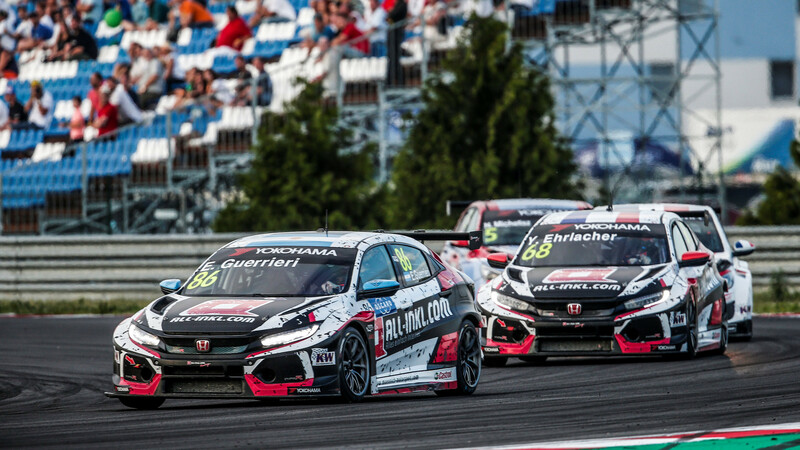 TCR cars as defined by the applicable FIA WTCR Technical Regulations and which have been certified by WSC Ltd, provided that they have the TCR Technical Form issued by WSC Ltd. and the FIA WTCR Technical Passport issued by the FIA. 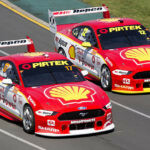 The issue will be referred to the FIA International Court of Appeal once the decision is logged by the teams’ national sporting authorities (ASNs), where it will be confirmed whether the results will stand or whether the three Hondas will be excluded from the event. All this highlights a critical separation within the WTCR between the FIA and the “technical regulations holder” WSC, which is creating friction, confusion, and also some anger throughout the paddock. 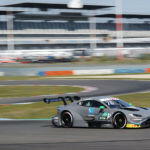 Many of the teams and drivers have been vocal both openly and behind the scenes over concerns about the championship’s BoP and its administration this year. 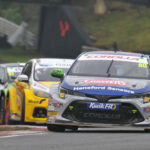 Some teams and the WTCR’s promoter Eurosport have in fact been calling for more involvement and control by the FIA, with concerns that the regular shifts and inconsistencies introduced by WSC have been ruining the flow of the season. The performance of Hyundai in the first three events of the season saw much frustration vented from the Honda and Volkswagen Group teams, while it looked like this was overcompensated for at Zandvoort, when the Hyundais, now with a power reduction and an increased ride height of 100mm, were now completely off the pace and not able to score points, with the Hyundai teams YMR and BRC Racing Team, and the WTCR promoter Eurosport Events, saying it was unacceptably difficult to explain this kind of swing shift in results to sponsors, fans and commercial partners. That said, it’s still the case that WSC are the owners of their own regulations, and that they also do have the support of many of the manufacturers. Also with the FIA publishing its own boost chart which was marked as only relevant for WTCR competition, this immediately introduces a key inconsistency in the TCR concept, with the cars in the WTCR now effectively running to different technical performance levels to the myriad of other TCR series around the globe. The FIA has strong reasons why they believe the new boost levels are needed, in order to enhance their ability to monitor the performance of the cars and ensure no manufacturer or car builder is able to cheat the system, but should the FIA boost levels be accepted as something that should be implemented globally, it’s that implementation itself which would be problematic, and also implausible as part of the customer racing format. The motorsport managers of the various manufacturers have said it’s not viable to change the ECUs of the cars for all the TCR specification cars across the world at either short, or even any kind of notice. The Volkswagen Group cars would be the most affected where there are more than 400 racing in America, Canada, Europe and Asia. While the teams can alter the height of their cars, and add and subtract to the cars’ base weight, changing the engine power and boost levels of the cars is strictly under the control of the car builders or manufacturers. It’s for those reasons why none of the cars, beyond Hyundai, which for all intents and purposes is the closest thing to a factory non-factory programme in WTCR, were able to make any changes to the cars boost limits at the Slovakiaring weekend to meet the new FIA standards in any case, and it was therefore somewhat surprising that it was the Hyundais that were first found to be in breach of the regulations. The appeal by Münnich Motorsport and Boutsen Ginion Racing will be a real test case in respect of where the FIA and WSC are going in terms of their working relationship in this year’s WTCR, and whatever the result, it will be clear that both parties will be undoubtedly working on finding better ways of working across the rest of the season in order to not damage the integrity of this brand new championship.